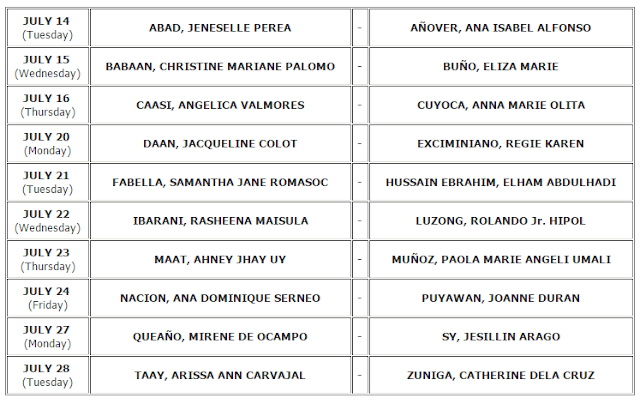 The Professional Regulation Commission (PRC) already released the results of May 2015 nursing board exam or NLE. Pursuant to PRC Resolution No. 2004-223 dated July 19, 2004, results of examinations are final and request for reconsideration of failing grades is not allowed. PRC announced that the registration for those who passed the May 2015 NLE in Zamboanga will start from July 1, 2015 onwards. Processing time will be from 8:00 A.M. – 11:00 A.M and will resume at 1:00 P.M. – 4:00 P.M. Schedule for the Mass Oathtaking shall be announced at a later date, PRC added. 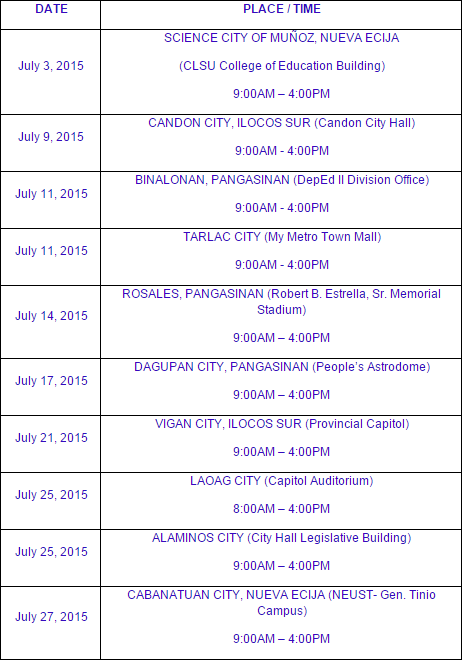 PRC Lucena said that registration for NLE passers will run from July 6-9, 2015. PRC Baguio - Oathtaking ceremonies are tentatively scheduled on July 26 to August 3, 2015. 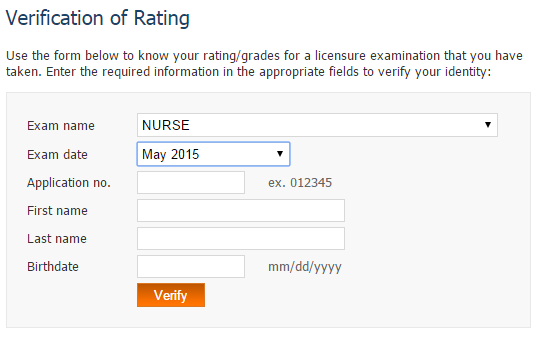 Through Verification of Ratings (VoR) online on PRC website, May 2015 NLE takers will be able to check grades by entering the required information in the appropriate fields. Some of the required information includes application number and birthdate. VOR for May 2015 NLE is now available. Check your ratings now.